Purchased an ESS replacement speaker for a 1970’s era ESS AMT Monitor speaker. The speaker was a perfect fit and sound matches beautifully with the other original speaker. 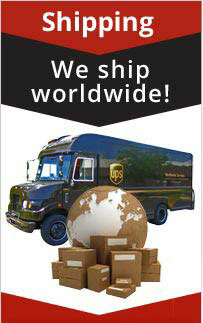 Simply Speaker provided a great price and quick shipping. Great replacements and look good too. Item arrived on time and in perfect condition. Nothing but praise. Great replacement speaker at a reasonable price. Better quality than the original. Has slightly higher DB output and a durable rubber surround (instead of foam) and a treated cone surface. I also love the ESS lettering on the cone. I really only needed one replacement but liked the replacement so much I bought the other. Now my ESS AMT 1a Bookshelf's are exactly matched and are better than new. Rec'd factory replacement woofer well packed, undamaged, and on time. Worked well once installed. Slight problem was the metal cage around the woofer was slightly different than the cast outline of an AMT-1A original woofer. I had to modify the face of the speaker box to slightly enlarge the recessed form fit pocket which the woofer fits into. Not a major issue, fixed with a dremel tool, just a slight annoyance. My speaker system is greater than 40 yrs old, and I suspect that ESS changed their design somewhere over the years. I've had my ESS AMT monitors since the 70s but the cones were bad and the passive radiators too. Decided to purchase new woofers and redo the radiators. So glad I did. They sound just like new and man do they sound good. 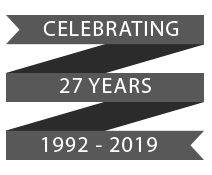 Hearing some disturbing distortion coming from one of my ESS AMT 1D woofers, I was very worried about finding a replacement for these twenty something year old speakers. . After looking through other choices, I couldn't be more pleased that I chose Simply Speakers. They promptly answered my questions and the delivery was as promised. The replacement speaker works perfect and I've returned to my "as clear as light" sound. A VERY satisfied customer. Q: What is the actual ohm rating? A: DCR is 3.9 ohms. All other specs are listed on product page as well. A: This unit will work for all older ESS "square frame" designs that use the 12" woofers. A: Thanks. Yes, green is positive, black is negative. Q: Is this a replacement for the woofer in the AMT1a? I have a pair of them, and the woofer surrounds were foam. 1. Are these replacements for that speaker system? 2. Are the surrounds rubber or foam? 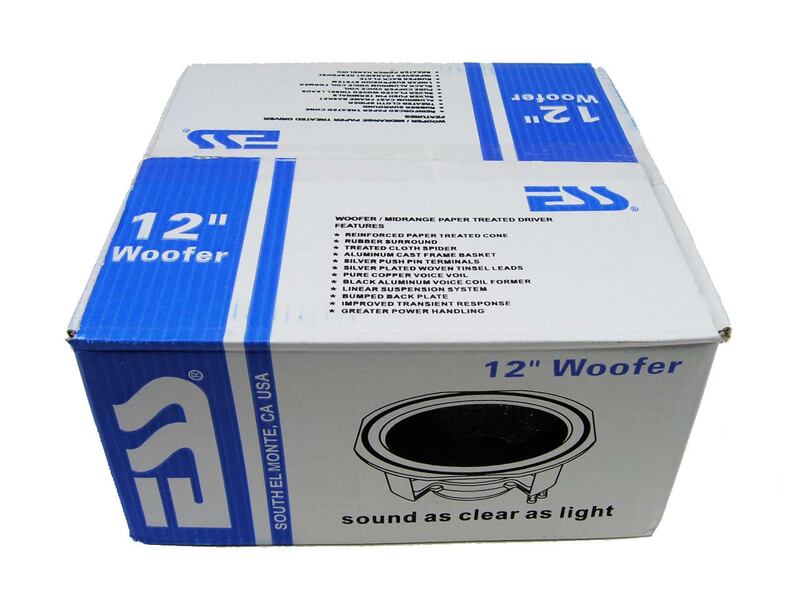 A: Yes, this is the correct woofer for the AMT-1A. The new woofers are designed with a rubber surround (not foam). ESS: AMT-1. 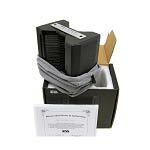 AMT1, AMT-1A, AMT-1B, AMT-1C, AMT-1D, ESS Monitor, and many more! 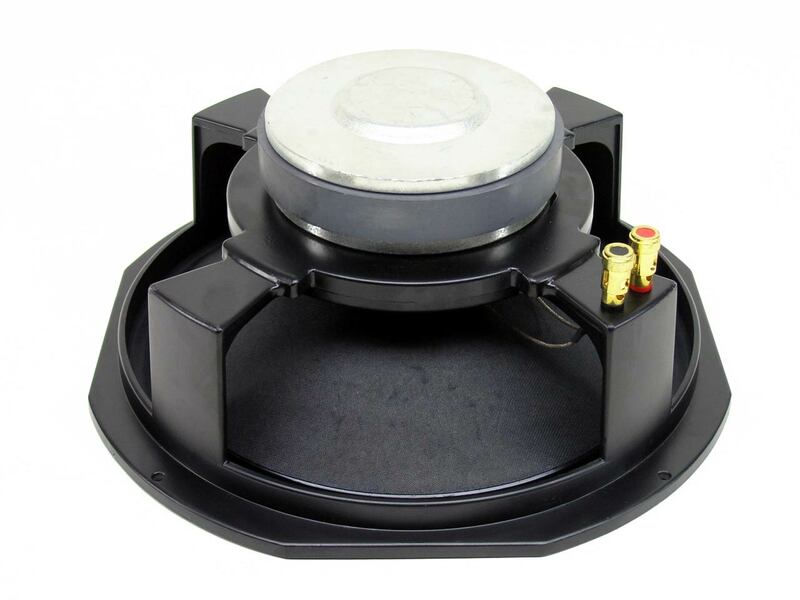 Famous for the superb Air Motion Transformer mid/high transducer, ESS also manufactures woofers that match their quality and performance. 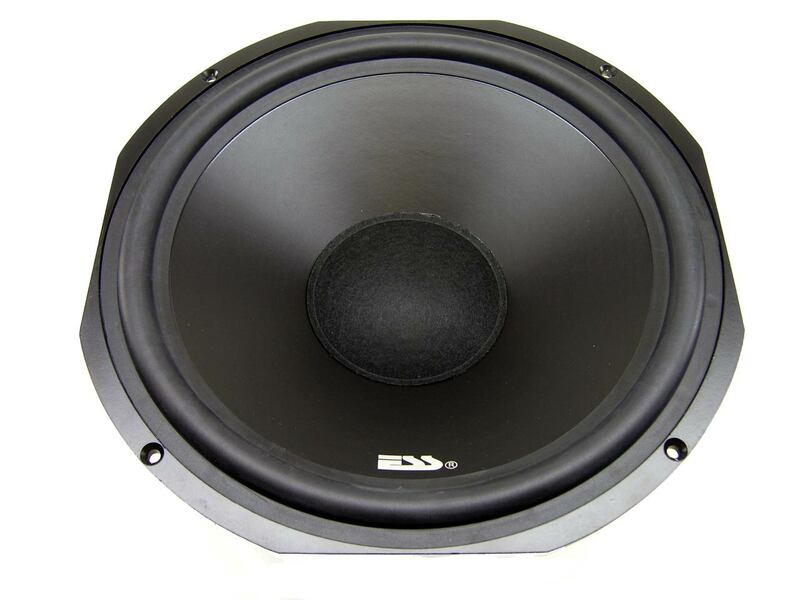 The ESS 689-1220 12" woofer features a specially coated and reinforced paper cone with half-roll rubber surround, the combination of which provides a perfect balance of mass, rigidity, and good linear excursion capabilities. 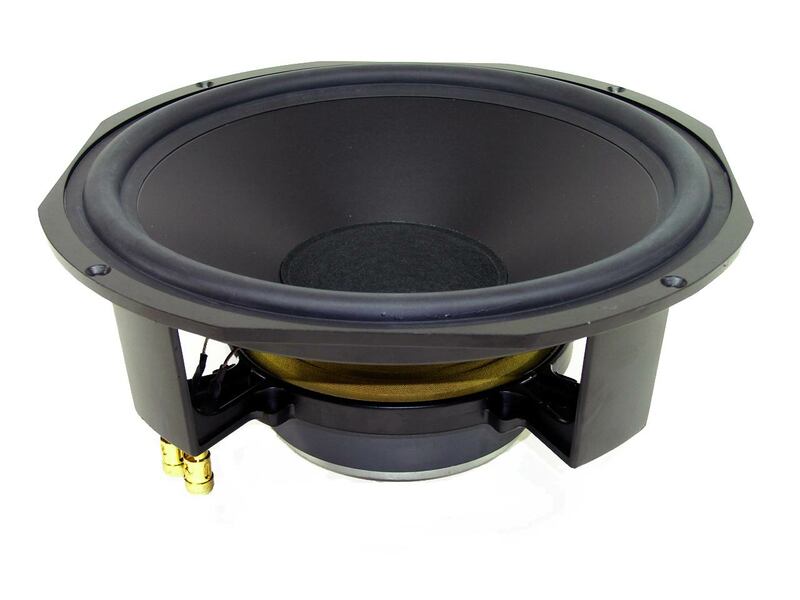 A cast aluminum frame protects and aligns the woofer's critical moving components, as well as avoiding the diversion or dissipation of the 40 oz. ceramic magnet's high motor strength. Highly conductive and fatigue resistant woven tinsel leads establish a reliable connection between the high-power 2" copper voice coil and the oxidation resistant gold-plated input terminals.